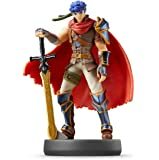 5.0 out of 5 starsFor an increasingly hard to find, out-of-print Amiibo, Marth is mid-grade Amiibo. Gamers, go for it; collectors think twice. I recently reviewed the Shulk Amiibo from the Series 2 release. Much of what follows relates to both Amiibo’s in general, though I’ll specify below when I speak of Marth exclusively (or at least make the comparative notes obviously stated). 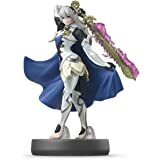 Simply to share, as my bias surely affects my best intentions of a helpful review, I avoided purchasing any Amiibo figures until very shortly after the most present release of Series 4. 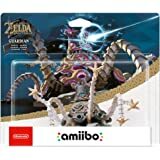 That shared, due to a New 3DS mishap at a big box retailer, I was given store credit and with it, brought home my first 4 Amiibo (Series 1 Link and Zelda; Series 2 Toon Link and Sheik). After having these 4 Amiibo to experiment with, it was only after I truly made my first two Amiibo purchases (dare I say, invested), Series 2 Shulk and this figure, Series 1 Marth. I could not find the U.S. release of Marth at a price that competed with the Japanese release. After reading another review elsewhere, and realizing it doesn’t matter whether one has the U.S. or Japanese Amiibo release in terms of being able to port into Wii U and New 3DS XL games, I jumped at the opportunity to purchase Marth. My purchase of this Amiibo was wholly due to the excitement I have had in experiencing the gameplay of Code Name: S.T.E.A.M. for the New 3DS. I played the demo and while it was just so-so, still I remained quite expectant of what could be a great game experience due to the reviews I read by those fortunate enough to have more access beforehand. 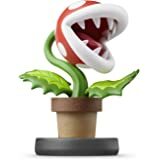 I have not been let down, neither by the game, nor with this particular Amiibo figure. As other reviewers before me have stated, comparatively this is a very well sculpted Amiibo figurine, though I must state this Amiibo is not quite at the level of Shulk, the most nicely sculpted Amiibo figure I have yet to own. Overall, Marth’s Amiibo presence is very much that of his game presence in Fire Emblem: a bit hesitant at first, but then comes into his own. Marth’s clothing and wardrobe in general is detailed and nicely painted (between the lines! ), and his hair looks (just about) as good as it does in the game (LOL), but in some of the finer details of the figurine, there is a bit of a lack of detail…just enough to not quite be at the quality of Shulk (the high-water mark of Amiibo figures that I’ve seen thus far, admittedly, only about 6 or so). In terms of the actual sculpted figure, as with the other sword-wielding Amiibo I have, Marth’s Falchion divine sword is not perfectly straight, but bows slightly downward. Why is this? I do not know. Perhaps it has something to do with the heating and cooling process of manufacturing? 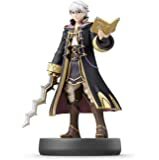 Regardless, the materials (plastics) this Amiibo is cast in allows for the sword to be slightly misshaped. While this doesn’t bother me or affect my enjoyment of the figure, I can see more scrutinizing collectors of toys and figures to be irked by this oversight in the perfecting of manufacturing. Some Amiibo have colored or clear plastic supports extending from the base to the figure itself. 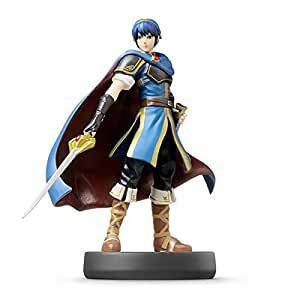 Thankfully, Marth stands on his own two feet, so to speak (the base, however, like other Amiibo, has a strikingly similar “X” pattern as seen in contemporary X-Men comics, films, and the like). Rough dimensions for this Marth figure, from base to top of his head, is nearly 4-inches; from widest point to widest point (downward pointed sword tip to extended cape at the opposite side) is 3.5-inches. Regarding gameplay, the Japanese import has ported just as any other Amiibo has on my New 3DS. I would expect the same from others, especially with so many reports consistently claiming this is in fact the case. If it is not clear by now, I’m a collector of things, especially that which relates to Nintendo. 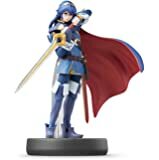 Most of us seemingly having missed out on the U.S. release, is it worth it to purchase this Marth Amiibo for 2x-6x the MSRP? I cannot answer that for you, obviously, but having ported Marth into Code Name: S.T.E.A.M., if you decide to make the purchase, I hope your experience is as much fun as mine has been! Happy gaming and happy collecting! 5.0 out of 5 starsSword guys unite! Reads with zero issue in all my games. Had no remorse pulling him from the box cause the corners and stuff were a little bent up anyway. Had to straighten out his sword a bit but what else can you expect from a thin piece of flexible plastic. I'm completely happy with this purchase. 5.0 out of 5 starsGreninja Makes a Splash!! So glad that I was able to find one affordable and quickly shipped to me without having to pay more than $30 for one piece! Greninja never looked better as an Amiibo! This guy is real trouble when he he is maxed out to level lvl 50. So make sure you on his good side if you want victory to come at ease. I missed out on the Preorders from Toys R Us on the day it came out. And also the day the amiibos came on stock. But I finally got my chance when it was posted on Amazon Prime. I just though I got em while it was still cheap. Because for some reason the Exclusive amiibos become real expensive over time, cause of those scalpers. Like right now Lucario is really expensive for almost $60. But I hope later I'll finally get a US version so I can have one for collection. Marth arrived quickly and looks great. I don't know much about amiibos, but I bought this as a gift for a friend and he loved it. The packaging is in Japanese but that doesn't really matter because the toy still works on the American version of the game. Apparently it is difficult to find some characters in the USA, so this is a good alternative. The toy itself looked nice and came packaged well. Overall, it was excellent, especially considering the low price. Awesome looking figure. 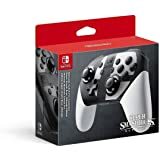 Can be used in the various Fire Emblem games for 3DS, as well as Super Smash Bros for 3Ds and Wii U to create an opponent that you can fight and levels up. The amiibo can also be used in the 3DS game "Code Name: Steam" which allows Marth to enter the level you are playing on in place of another character. Will also likely be used in the upcoming "Fire Emblem Warriors" for Nintendo Switch.